Trolleys in stainless steel AISI 304 series GOLD professional. For demanding professionals and facilities where it requires the superior quality of products. Plate trolleys, Door plates, door racks, Rack and wire guide, brings baking trays, Gastronorm GN door, door meat, sausages door, rotary and pastry bakers. All trolleys are supplied welded and assembled. A line where the detail is expertly designed and made by expert craftsmanship. The design of these products was performed by our technicians with food professionals. 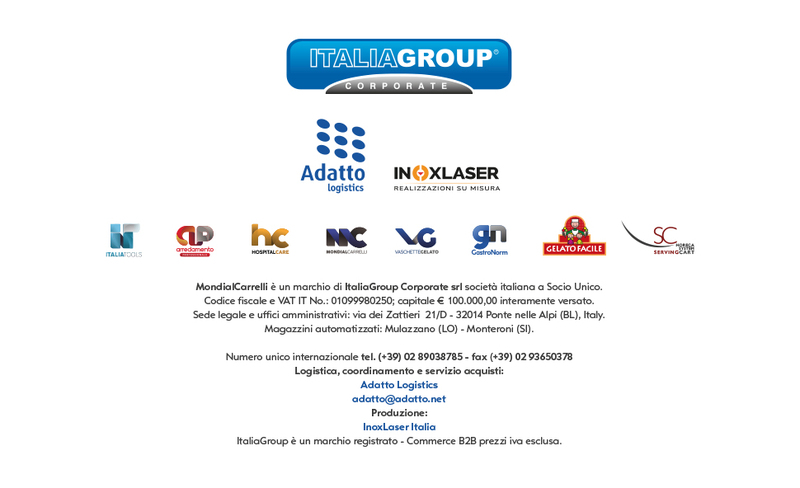 ITALIAN PRODUCTS - DESIGNED AND MADE IN ITALY.